On Monday, we asked if you knew where in the world Dr. Hare was this time. Did you figure it out? 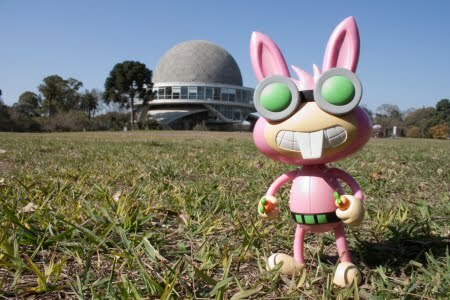 Dr. Hare was in Buenos Aires, Argentina! Here he is in front of the famous Galileo Galilei Planetarium in Buenos Aires. Keep an eye out, because you never know where Dr. Hare will wind up next!